A concern that is high on the list for many preppers is how to stop bleeding in an emergency when they or family members are injured. When times are peaceful medical preparedness is so low on the list of wants and desires. Still, we all need to understand basic first aid. In times of disaster and collapse, many people turn to their natural remedies. These remedies contain all sorts of information on healing and even help to stop bleeding. 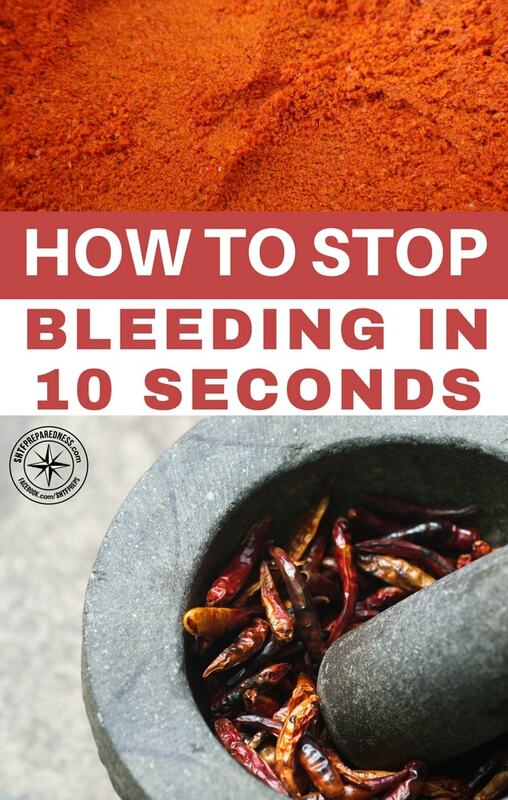 One such blood stopping natural remedy is cayenne pepper. In fact, cayenne pepper has been used in natural remedies for centuries. Among its many health benefits, cayenne pepper is also a great herb for the treating of wounds or lacerations. This may come as a bit of a surprise to many. Cayenne pepper, however, is a multi-faceted plant. Not only does it staunch the blood flow of a cut or laceration, but it also actually disinfects the wound as it possesses antifungal and antibacterial capabilities. It also has some anti-inflammatory benefits that can help with things like arthritis. Keep a pill bottle worth in your bug out bag or EDC kit because sometimes you just don’t have bandages when you need them. You could also keep some in your car to help others in an emergency, in a car crash for example. 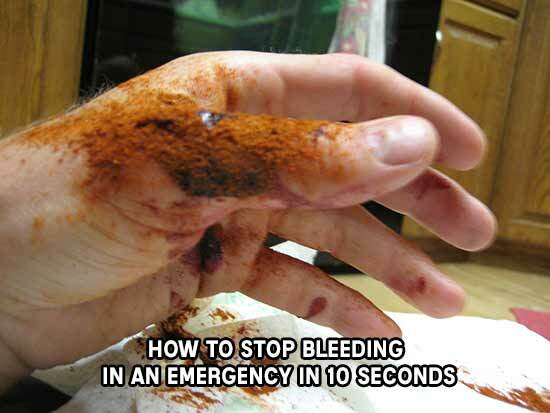 It is far from the only method to stop bleeding in an emergency. But almost everyone has access to cayenne pepper, it is lightweight and carries well in any bag. Be sure that you have some on hand. It’s also a great little pepper to grow each year in your garden. While many Americans struggle to focus on topics like medical preparedness, the need could arise. If you are looking for self-sufficiency you have to know how to treat yourself and your loved ones, if only for a short time.